Aimee Lee is a paper, book, installation, print, and performance artist. Lee’s work examines humanity and the different ways people create personal realities within family and culture. She has adapted ancient techniques and material in her work to revive and evolve older traditions. Lee holds a B.A. from Oberlin College and M.F.A. from Columbia College. 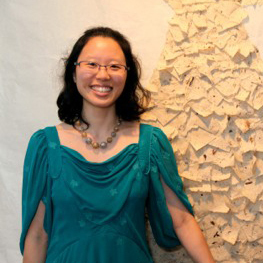 She has received several grants including the Fulbright Fellow, which allowed her to study the art and history of hanji paper in South Korea. She has been shown in several galleries around the US and in other countries.